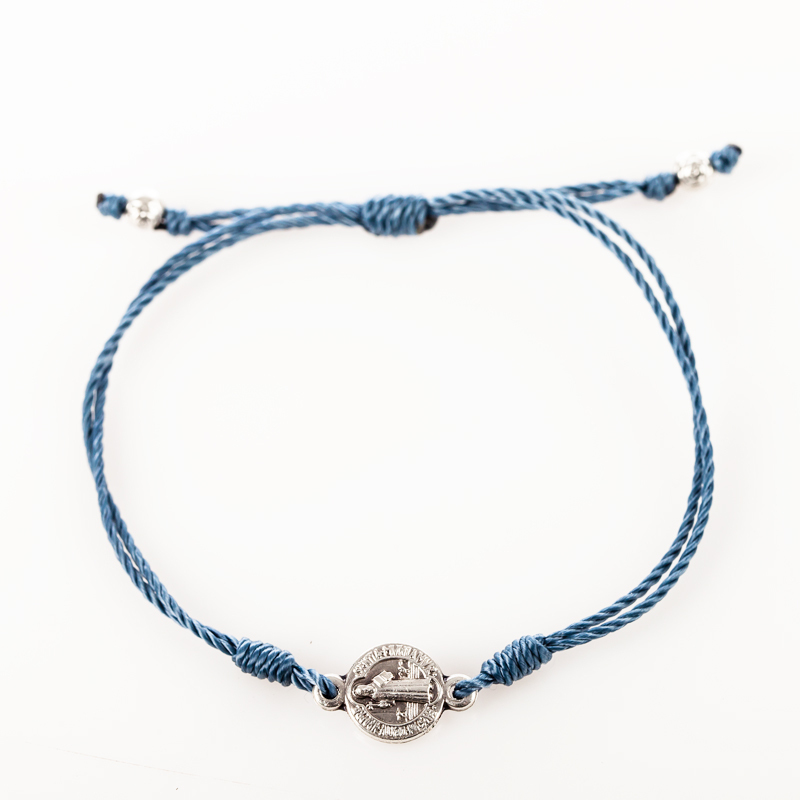 One simple string, One simple medal, One simple reminder -Breathe Hand woven in Medjugorje, bracelet features a Benedictine medal, which is one of the most powerful symbols of protection. 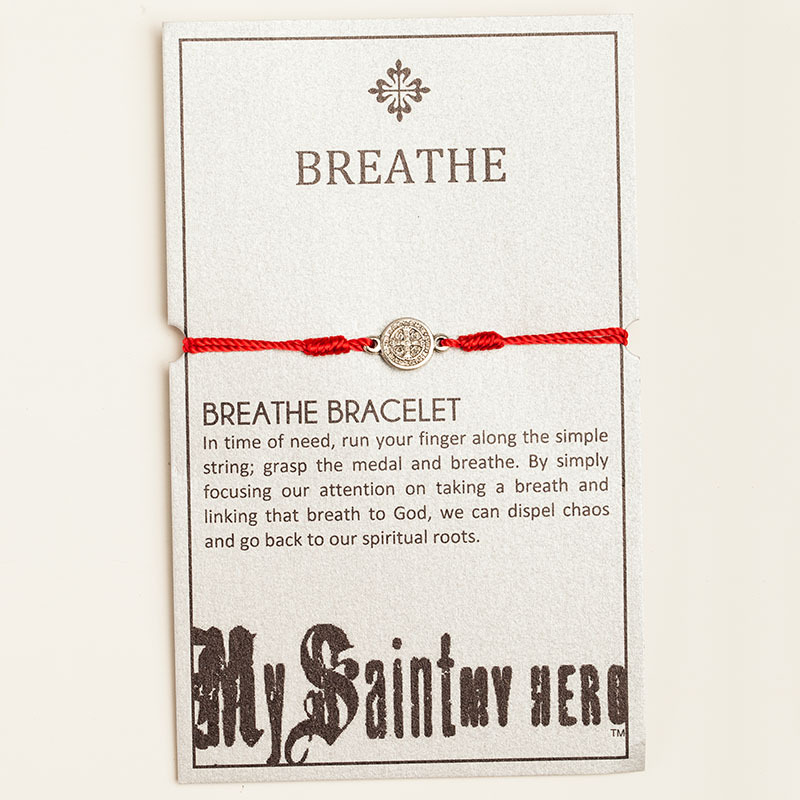 Each bracelet comes displayed on a card with its meaning and the reminder of the power of prayer. The sliding slipknot closure, enables them to fit nearly everyone perfectly.